Felix has won plenty since evolving from that freshman runner with no idea how to pace herself. 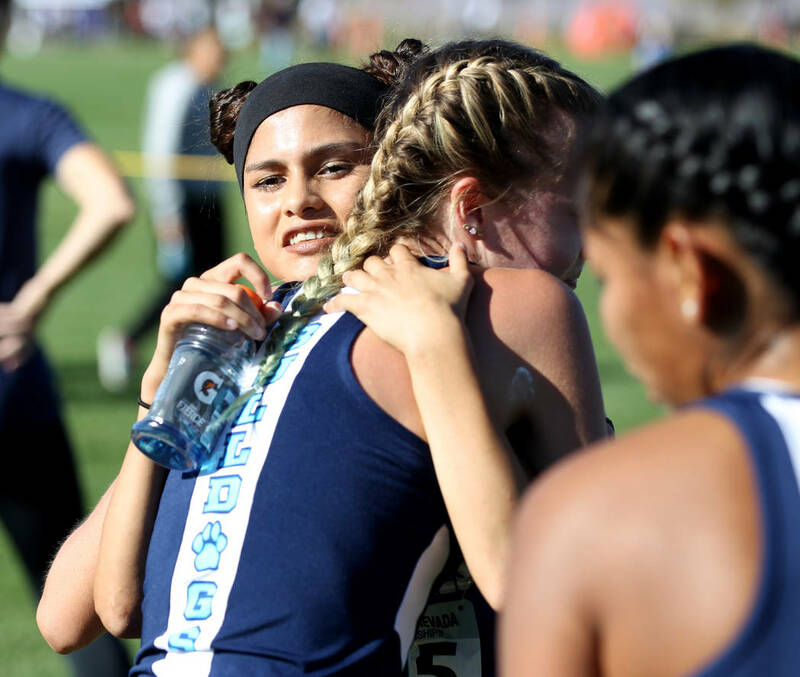 She won five races this fall, including last week’s Mountain Region title. 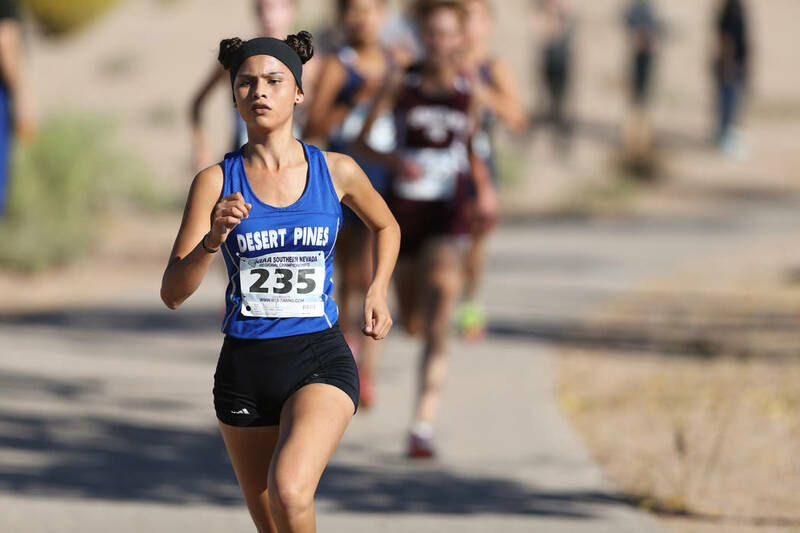 Felix should be one of the area’s top female finishers in the Class 4A girls meet, which is scheduled for 10:35 a.m. at Boulder City’s Veterans’ Memorial Park. 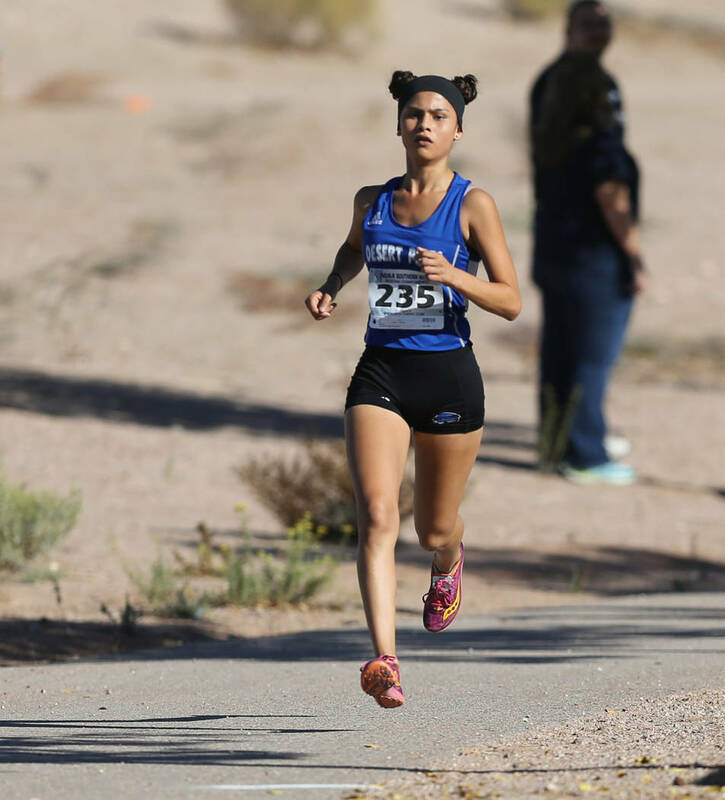 Felix wasn’t a runner before taking up the sport as a freshman at Arroyo High in El Monte, California. But Aguilar isn’t surprised at how quickly Felix has evolved into one of the best in the state. Felix was second at the Class 3A state meet last season, but found things a little tougher running at the 4A level this season. More competition, but similar results. Along with the five wins, Felix had a pair of second-place finishes this season. 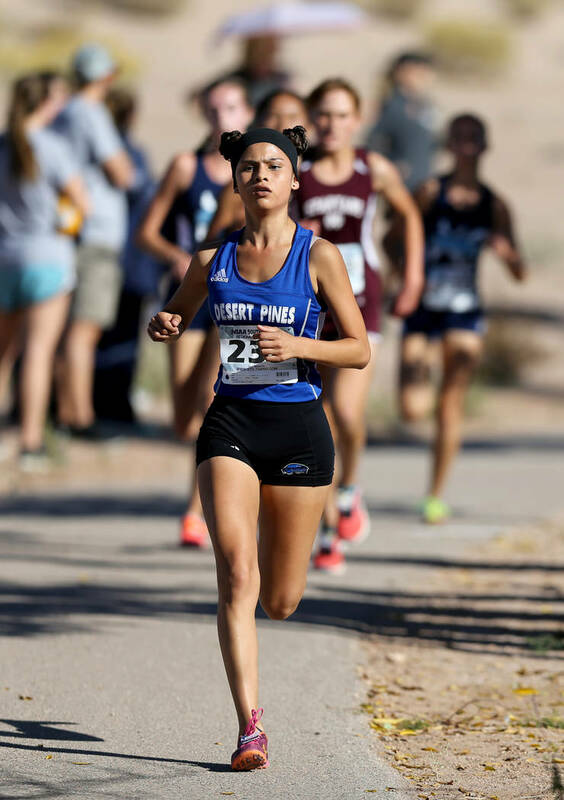 Aguilar said the junior’s focus is what set her apart at the region meet, which was run on the same course as state. Class 2A girls, 10 a.m.
Class 4A girls, 10:35 a.m.
Class 3A girls, 11:10 a.m.
Class 2A boys, 12:15 p.m.
Class 4A boys, 12:45 p.m.
Class 3A boys, 1:15 p.m.